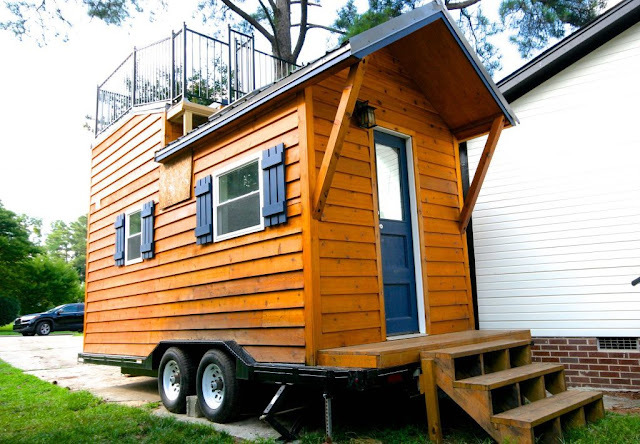 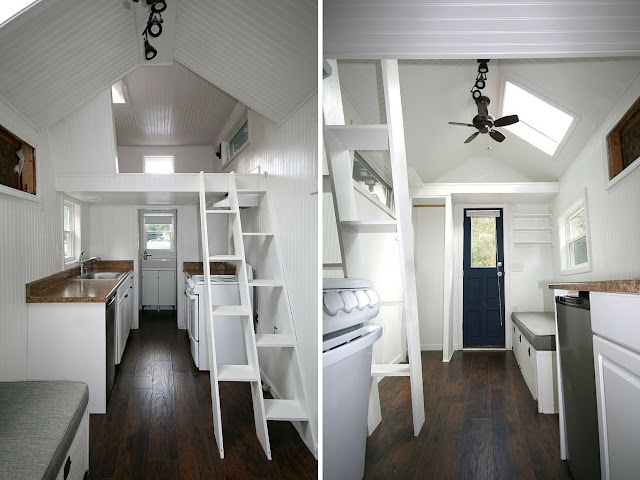 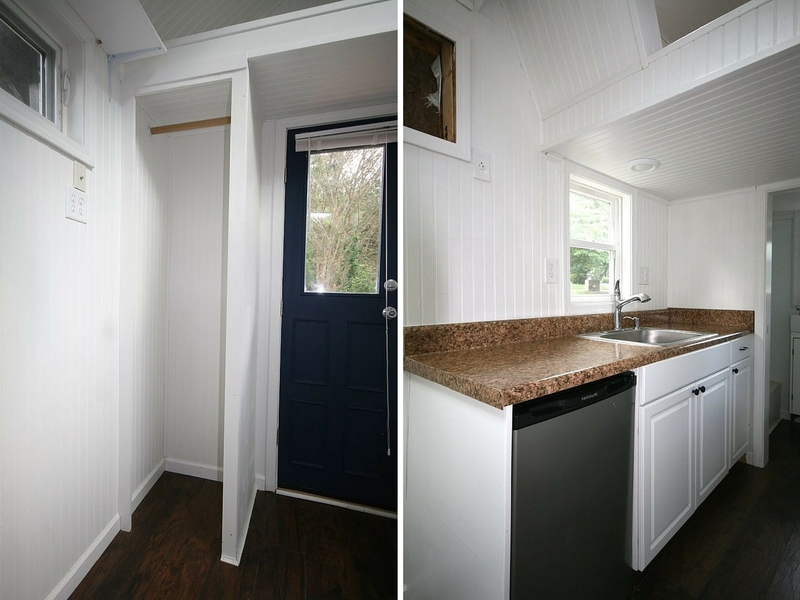 This charming 144 sq ft cabin on wheels is currently offered for sale in Raleigh, North Carolina, for $28,000. The home has a loft bedroom, kitchen, full bathroom, a living room area, and a second storage loft area. 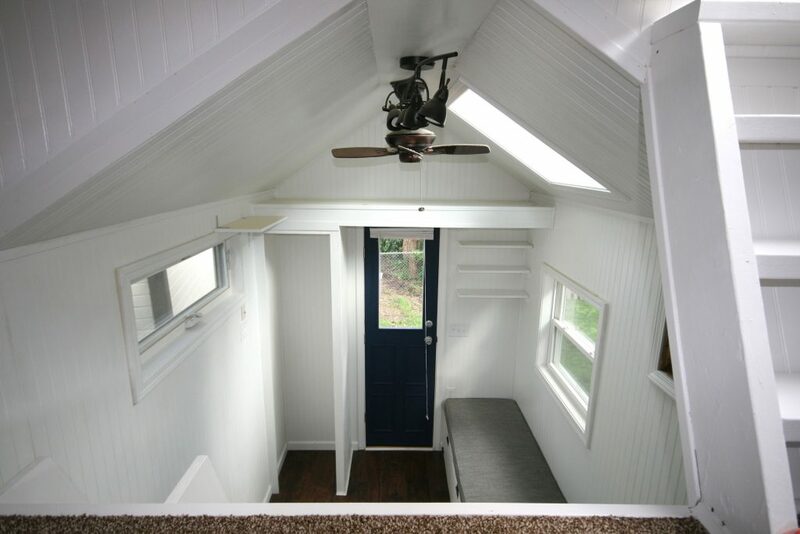 There’s also a bench in the front of the home that doubles as storage. 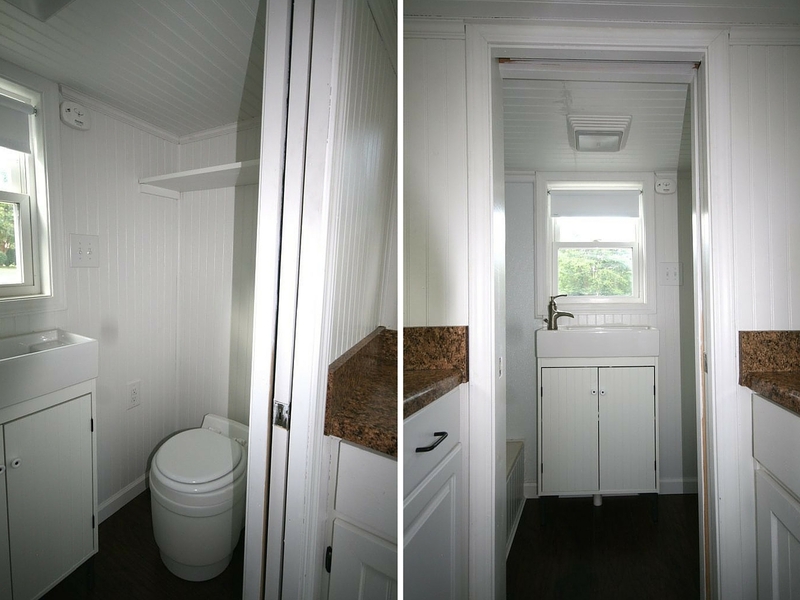 The house also comes equipped with a mini fridge, range, dual heating and A/C, an RV tub, dry flush toilet, and a hot water heater. The home’s plumbing and electrical can also be connected to almost any system.